When you experience a foreclosure it can make the buying process difficult as it drags down your credit score for many years. At Del Toro Auto Sales we work with people who experience financial hardship and we can help with Foreclosure Car Loans in Auburn. When applying for an auto loan, there are things you can do to ensure the process is smooth, such as checking your credit score before you apply so you can expect what kind of challenges you may face. For an easy process, visit our website to applyfor a loan. Be sure to go through your credit report thoroughly to make sure everything is correct and if you have been financially burdened or have defaulted on payments make sure to explain the situation/s. In addition, explain how you are raising your credit score. Foreclosure Car Loans in Auburn requires a more lengthy process, however there are great benefits, so do the work to ensure you get the car you want. When purchasing your next vehicle you should have money saved because having a large down payment will look more desirable when applying for a loan. In addition if have a vehicle you will be trading in that’s in good condition, you will be able to offer more than just money. And if you want to save money you can always trade down in vehicles which would reduce your monthly payment, allowing you to save money and make it easier to complete your payments on time. 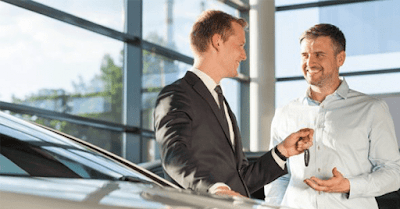 If you are not able to secure a loan, be sure to have a cosigner, one with a high credit score and financially stable, and even more beneficial, one who has purchased from Del Toro Auto Sales before. Del Toro Auto Sales has experience in working with all needs of car buyers. We have helped buyers with high and low credit scores purchase vehicles. You can be confident you are in the right hands with our experienced and talented team. To begin the process, fill out an application online and you will receive a response on how much you will earn on a traditional car loan. Once you have secured your loan you can begin the fun by searching for your desirable vehicle. We have an extensive selection of vehicles from a variety of makes and models. You deserve to gain your financial success back and Foreclosure car loans in Auburn can help. Be sure to research a reasonable interest rate and competitive loans because loans like this can be difficult. Del Toro Auto Sales is here to help, we serve all of Washington. Good to know about you and the services offered are also very interesting. If you are looking for used Vans for sale usa,then you can contact backpageservices for further details.